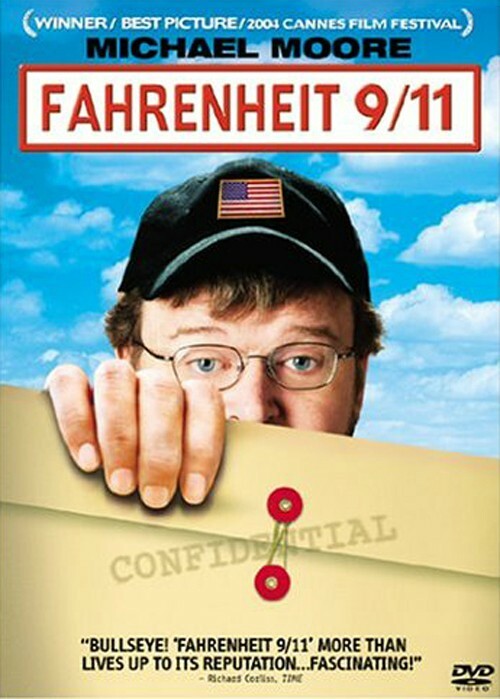 Buy, Rent or Skip Fahrenheit 9/11? Watching Fahrenheit 9/11 is one of the most infuriating documentaries I have ever seen and this is one I have seen a few times over the years. The only reason why I'm even watching this one again is because my DVD is heading to eBay and I needed to check out the condition of the disc. The last time I watched this one (maybe 4 years ago), I swore that was the last time because of the same reaction I got from the movie tonight. The film offers up both good and bad. Take your pick as to what is good and bad because it's all subjective. For me, I can't stand George Bush (and I voted for the f*cker). Shame on me. There is something just so irritating having to look at his smug face and how condescending he can be about everything. Talk about a spoiled, petulant child. He is the definition of one. He is so glib about everything. It's as if he knows he is untouchable, regardless of his actions. Hmmmm...I wonder why that is? Think about it. The other thing that kinda p*sses me off is Michael Moore himself. He's a great manipulator and he knows exactly what buttons to push to get a rise out of his audience, which makes him a great documentarian for sure. I won't go into the controversies surrounding the film and what is or isn't accurate. Regardless if it is or isn't, the film does a great job of opening up a conversation one way or another in which the US Government has to be totally transparent. Sadly, Politcians will always be able to skirt the issues at hand and sidestep their way out of camera view. Just look at the very end when Moore tries to get Congressmen to enlist their children to go fight the war they are so eager to get into business with. Sure, Moore knew beforehand that none of them would sign the petition to do just that, but it does make one sit up and take notice of how caviler they are with other peoples lives. If you have never seen this doc, by all means check it out. It's a scathing indictment of George W. Bush and everyone associated with him cabinet. How much of the movie technically was screencaps? I remember thinking it was one of the first DVR movies. I remember it feeling a lot like The Daily Show. I saw it when it came out-- and not since. And it definitely made me angry as well. And I wasn't really into docs until around this point, so I can't really "feel" how documentaries were before this. I will say that the movie did give us one of the great plot points of Arrested Development (a series very much inspired by the Bush family).